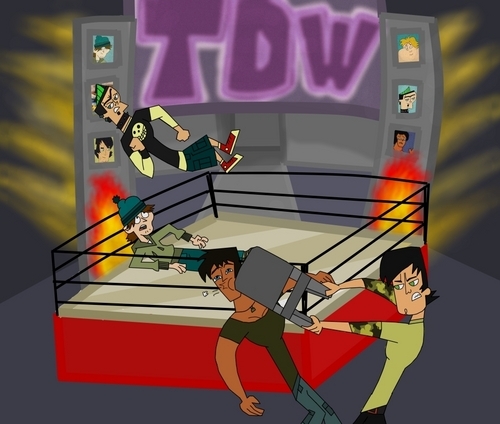 total drama wrestling . This is for dxarmy432 ... I wonder if Trent is going to hit Justin with that chair nine times? xD. HD Wallpaper and background images in the Total Drama Island club tagged: total drama wrestling trent. duncan justin zeke total drama island total drama action total drama world tour.